Meet our 2015 NCC Board of Directors! We will profile each of the board members throughout the off season. Wanna know something specific? Shoot us an email! I got into cycling because I didn't want to pay for the CTA passes I'd have to purchase once I graduated college and lost my Upass. I started out on a schwinn varsity that didn't fit me and eventually meandered into singlespeeds, and then fixed gears, then track bikes and road racing. Probably that time I crashed at the cvc in front of a bunch of people I had just met. Seriously though, the most memorable track experience was my first time doing a track clinic with Kevin Perez. 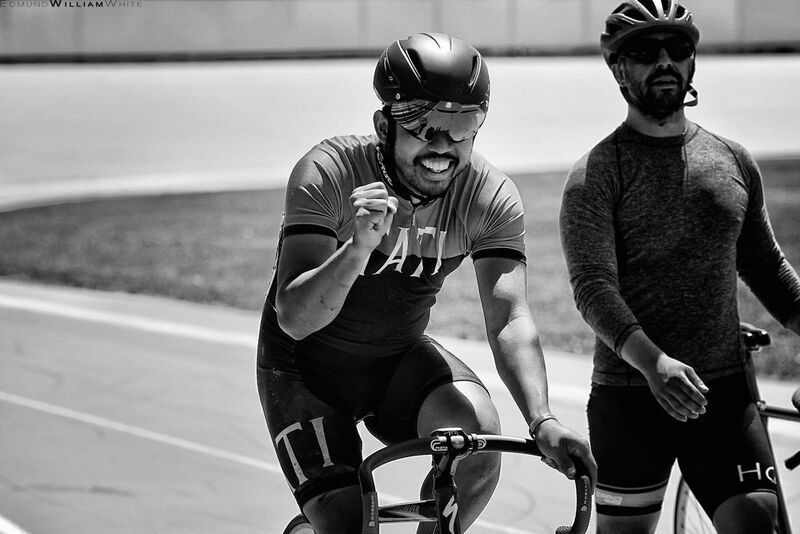 Marie Snyder drove me out to the track with a bike I had just built, and I got to sprint my lil heart out and realize how awesome track racing can be. I also met one of my best friends, Nate Miller that night. The community is nice and welcoming, I've never felt like I didn't belong. Thursday night racing, hanging out in the infield munching on snacks while watching all the racing going on is probably my favorite thing about summer. My main goal I guess is to make everything more accessible, to help get new people out to the clinics and then the racing nights. I want to help make the racing the best it can be. It's a toss up between slices of pizza and entire pizza. I'm a painter/illustrator. My work can be found at www.theroderick.com. I'm also into eating. Its pretty much my favorite thing to do.